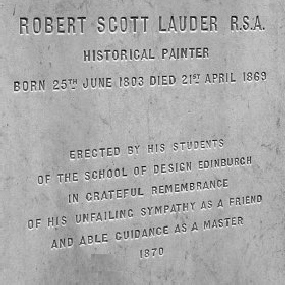 Robert Scott Lauder was born on 25th June 1803 and died on 21st April 1869. 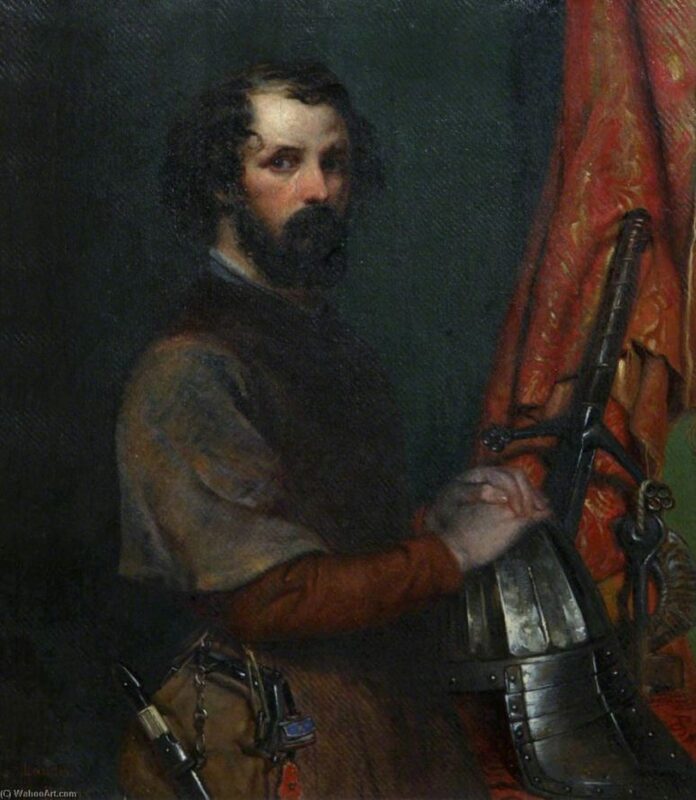 He was Scottish in nationality and described himself as the ‘historical painter’. Robert was the third son of John Lauder of Silvermills and Helen Tait. He was born at Silvermills House. Robert went to Edinburgh for schooling and then further studied at The Royal High School of London. He joined the family business where his elder brother William was also engaged. In 1825, he had returned to Edinburgh, and by the year 1830, he was elected as one of the members of the Royal Scottish Academy. Soon after that, he got married to Isabella Ramsay Thomson and the couple shifted to Europe. After that Robert studied painting in Rome, Florence, Bologna, Venice, and Munich. Robert and Isabella returned to London in 1838 and started their family. He had two sons and one daughter. In London Robert often used to exhibit his works at the Royal Academy. In 1847 he enrolled himself into a competition in Westminster Hall and sent his painting ‘Christ walking on the sea’. This painting was purchased by Lady Angela Burdett-Coutts, who was the first Baroness of Burdett-Coutts. Soon after that, he was elected as the president and he was the first one to hold that position in the National Institution of Fine Arts. He often used to exhibit his paintings there too. 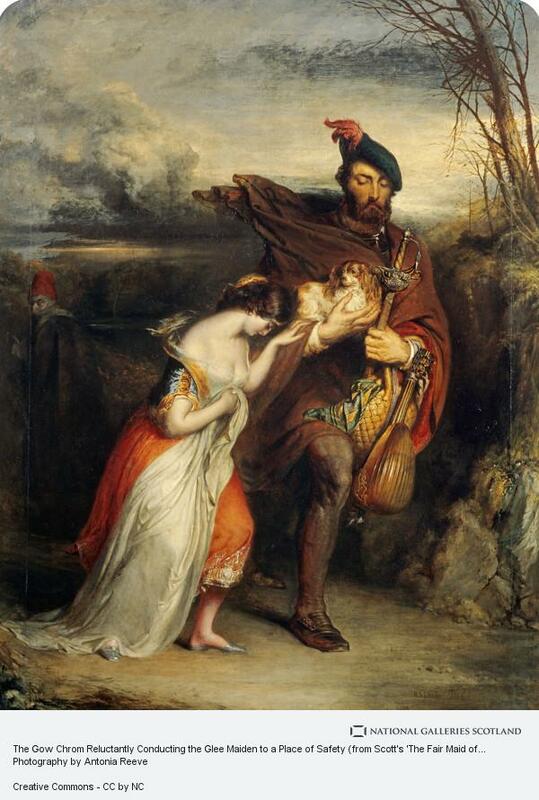 In 1849 he came back to Edinburgh and he started painting several historical scenes from Sir Walter Scott’s novels. 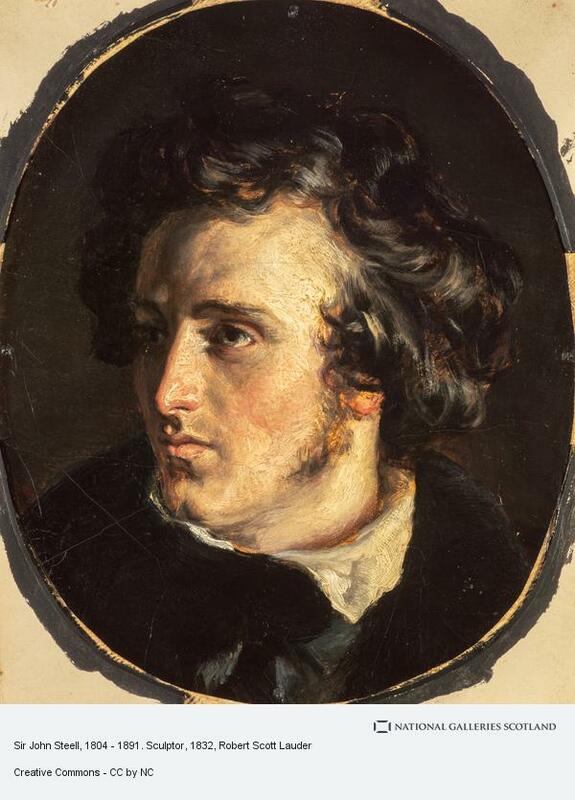 ‘Scene from The Bride of Lammermoor’ in the year 1839. ‘Hagar and Ishmael’ in the year 1840. ‘The Trial of Effie Deans’ in the year 1840. ‘Meg Merrilies’ in the year 1842. ‘Italian Goatherds entertaining a brother of the Santissima Trinita’ in the year 1843. Robert Scott Lauder suffered from a paralytic stroke in the year 1860. He died from the bout in bronchitis in the year 1869. He was buried in Warriston Cemetery in Edinburgh. Robert’s two sons were Robert Scott Lauder and John Thomson Lauder. The former was a physician and the latter one attended Edinburgh Academy.